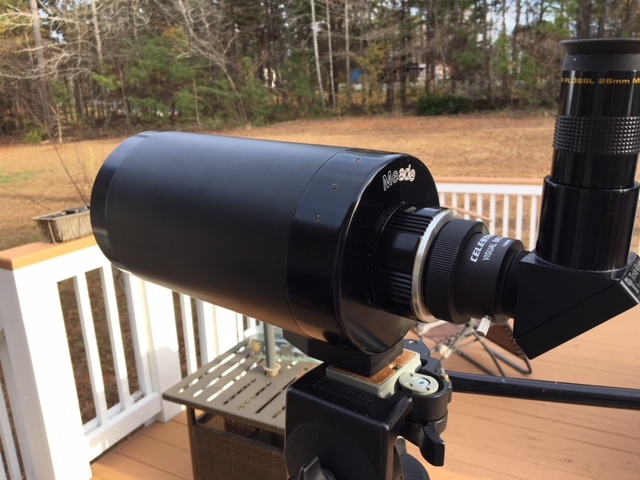 Another version of Meade's Classic 4" SCT. This is the telephoto version and its pretty impressive. As a 1000mm f/10 Telephoto its excellent. Good sharpness and contrast coupled with todays DSLR's that can easily shoot at ISO 6400 and you got the equivalent of 20x magnification. It can really bring in distant subjects. 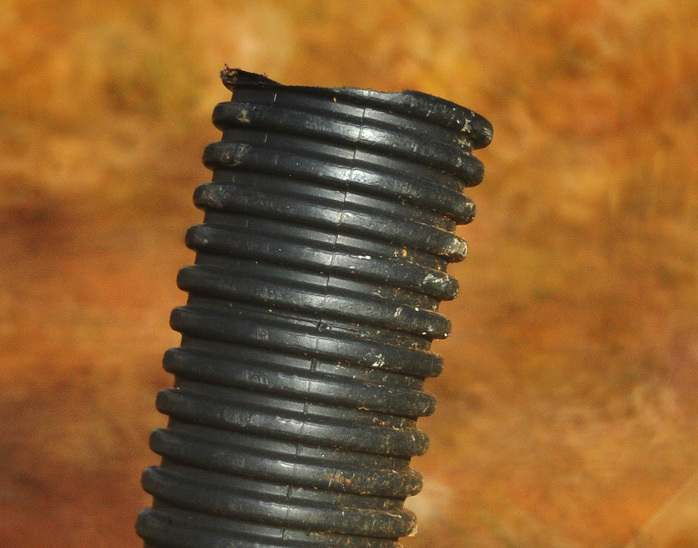 The helical focuser is great with no image shift that I can detect and buttery smooth action. Solid all metal construction yet light enough to carry anywhere as a grab and go spotter, telescope or solar scope. It originally came with .965 accessories but promptly installed a 1.25" visual back and diagonal! Edited by rolo, 04 December 2018 - 08:16 PM. 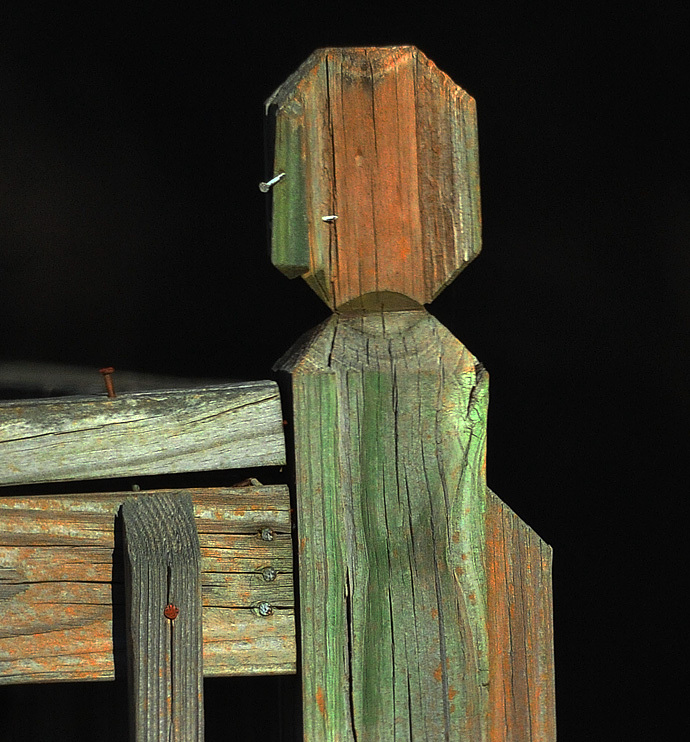 Here are some pics in telephoto mode 1000mm f/10 with a Nikon Nikon DSLR at iso 3200. I've used C5's as Telephoto's and none have been as sharp. Here's the neighbor's deck approx. 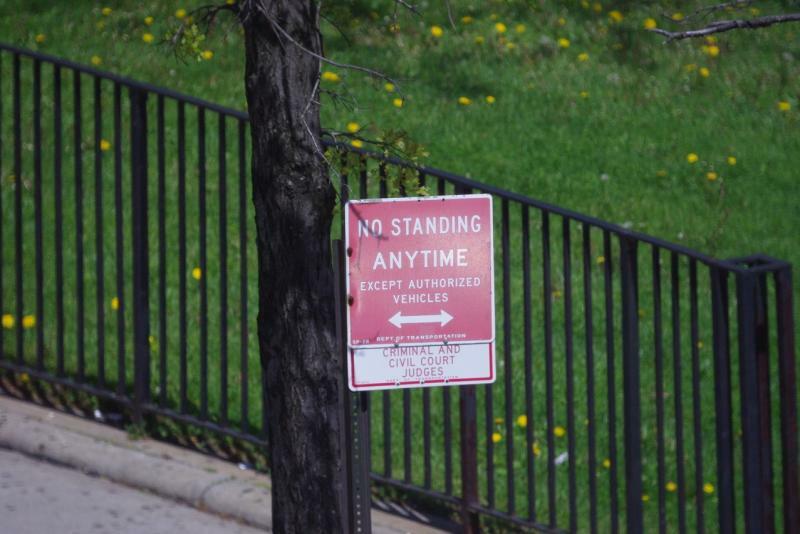 100 ft. away. Notice the texture on the nail heads. Edited by rolo, 04 December 2018 - 08:20 PM. 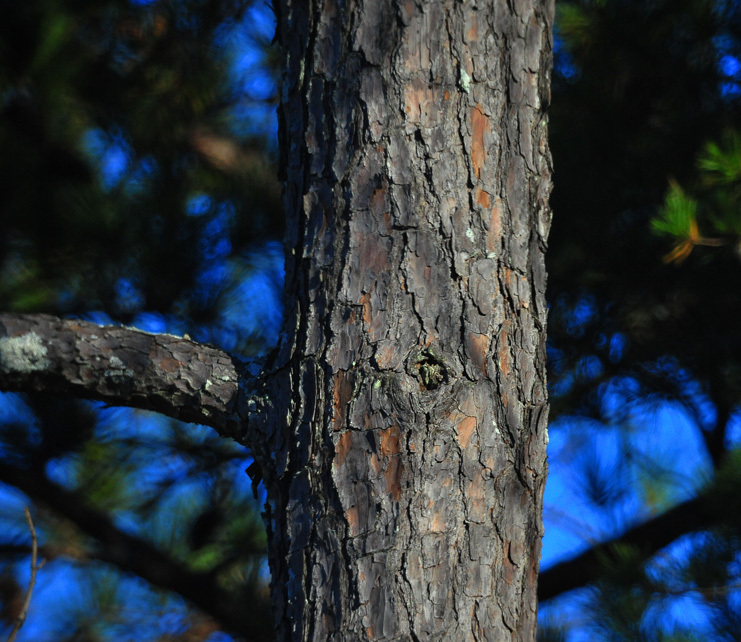 Pine tree knot about 100ft. away. Also as a 1000mm f/10 telephoto lens. I need to rent a condo on Miami Beach with this set up! 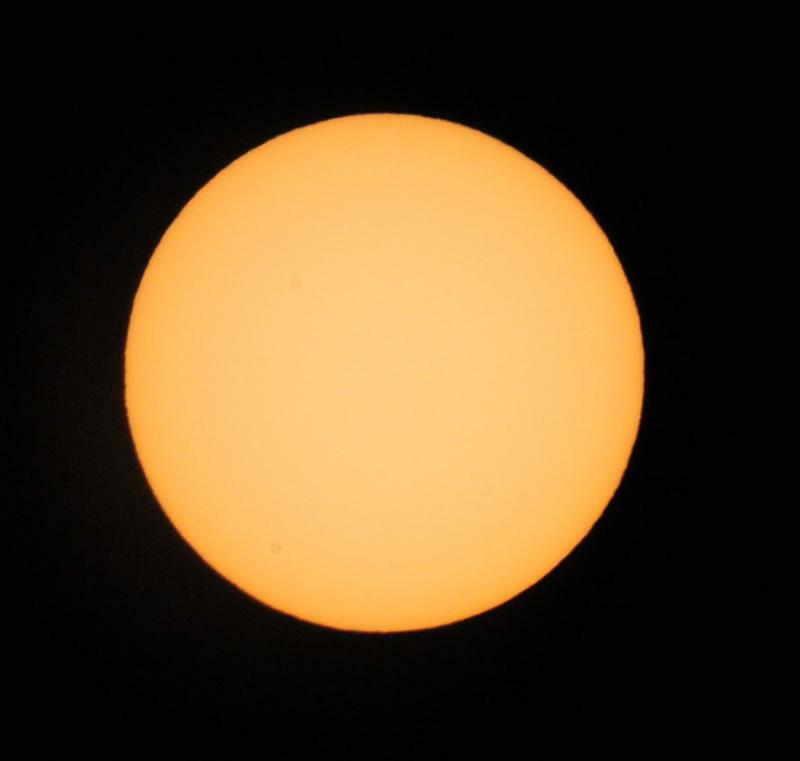 A single shot of the Sun at iso 3200 at 1000mm f/10. Images are cropped and reduced to fit here. Clean as a whistle with no sunspots. Compared to my previous review of the blue tube spotter this compares quite well. DPAC's are almost identical but I tested the 1020 with four Ronchi lines as opposed to five for the blue tube. The 1020 may be a hair better buts its hard to say. As a spotting scope/telescope views are super sharp even with a 7mm Nagler at 142x. What more can you ask for form a small SCT? 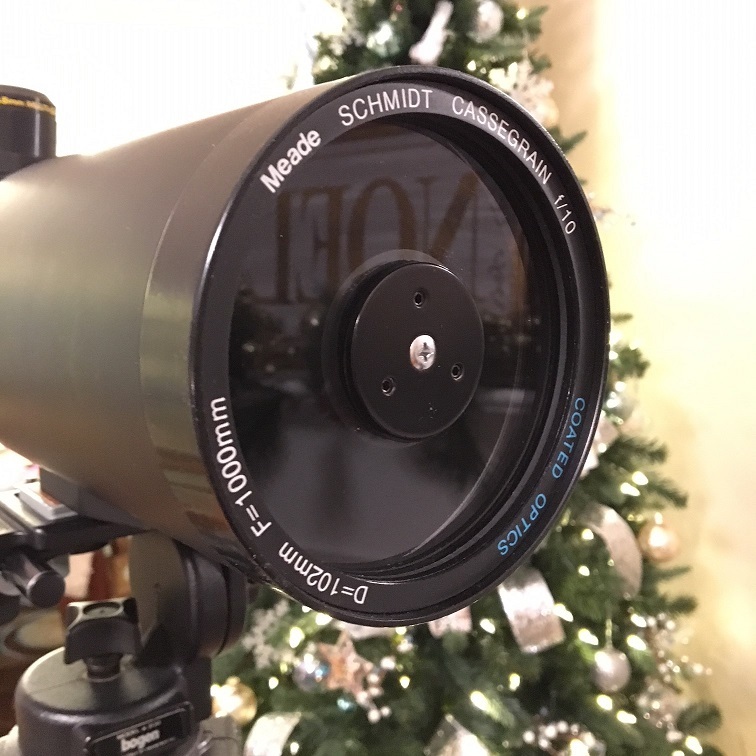 All it needs is a small finder or red dot and you're good for astro work. 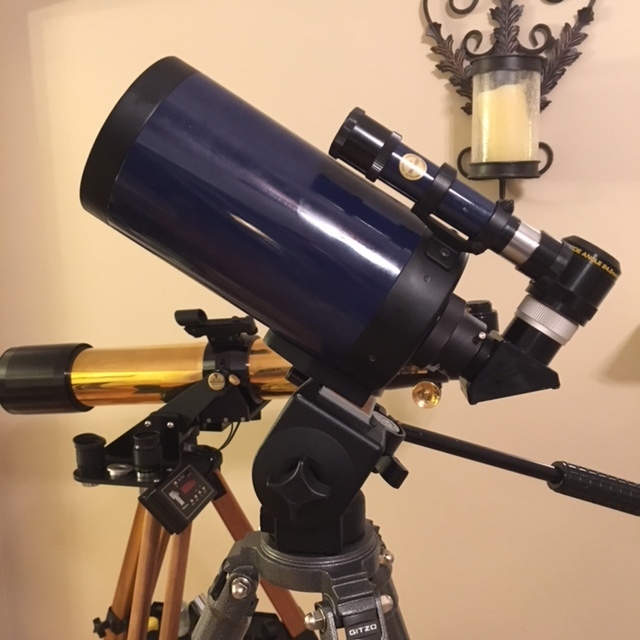 Hopefully I can take a quick peak at Orion tonight if its not too cold! 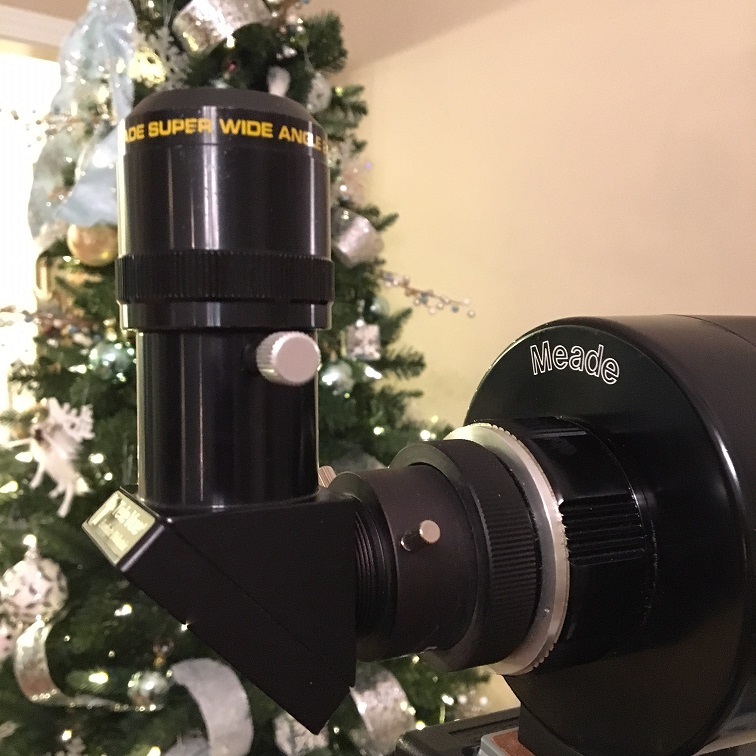 Here's a link to some Meade LX Ads. Old straight out of camera test pic from years back. I was on an 8th floor balcony. Edited by Boom, 04 December 2018 - 09:14 PM. Nice! You can even read the tiny print under the word "judges". Great photos. Do you have a DPAC pic, Rolo? No pics but the most obvious defect is a turned edge at the very outer perimeter otherwise the lines are pretty straight. There are no radial polishing marks or corrector material issues like I've seen in many SCT DPAC's.